At the one-year anniversary of his untimely death, the NAACP mourns the loss of 17-year-old Trayvon Martin. 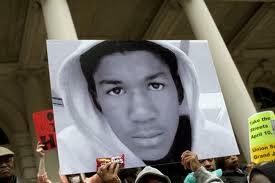 On February 26, 2012, Martin, an unarmed teen, was shot to death by neighborhood watch volunteer George Zimmerman. The case has drawn national attention to issues of racial profiling and the devaluation of black men’s lives by law enforcement: Zimmerman wasn’t arrested until 44 days after Martin’s death, and even then, with second-degree murder charges. The NAACP has released the following statements regarding today’s anniversary. The NAACP and our allies in the civil rights community will continue to take these issues on as well as the urgent need to repeal stand your ground laws. The Florida State Attorney’s Office will convene a grand jury on the shooting on June 10, 2013.